Director Patty Jenkins‘ Wonder Woman is one of the most anticipated movies of the upcoming summer season, so every sliver of information about it is worth examining. 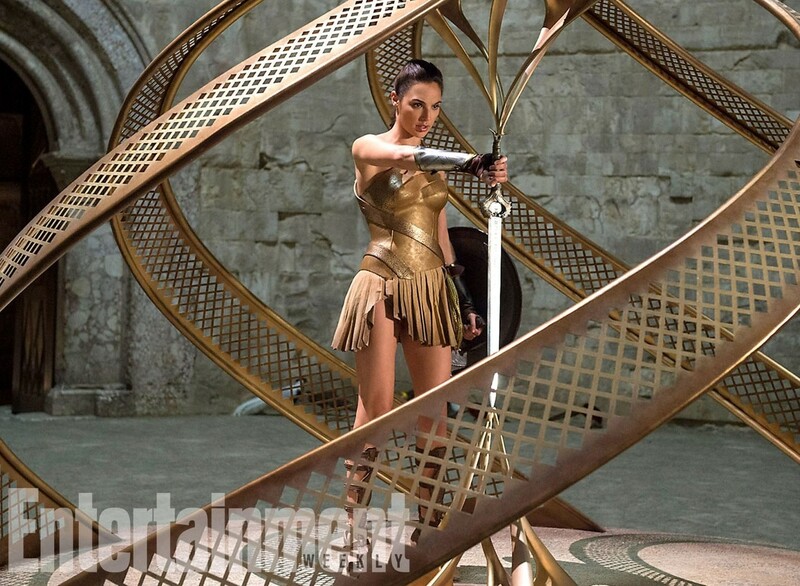 In this photo, courtesy of Entertainment Weekly, the future Wonder Woman, Diana of Themyscira (Gal Gadot), is stealing a magical Amazonian sword known as the “god killer,” which she intends to take to Man’s World. The theft angers her mother, Queen Hippolyta (Connie Nielsen). Wonder Woman also stars Chris Pine as Steve Trevor, Robin Wright as Wonder Woman’s aunt, General Antiope, Lucy Davis, Lisa Loven Kongsli, Danny Huston, Ewen Bremner, Elena Anaya, Florence Kasumba, and Saïd Taghmaoui. Wonder Woman opens on June 2, 2017. This entry was posted in Actors/Actresses, Comic Book Movies, Superheroes and tagged Amazons, Chris Pine, Gal Gadot, Patty Jenkins, Themyscira, Wonder Woman. Bookmark the permalink.